An external audit is conducted by external auditors, accountants that work independently for a firm, company or organization to examine operations and records. They check accuracy of financial statements and compliance with procedures and protocols. They have a significant role in creating credibility of entrepreneurship and large businesses over the public. The external auditor determines compliance of businesses with all applicable laws, rules, and regulations of the internal revenue services. An external auditor is not your company’s employee so they can provide honest statements without any fear. They redirect behaviors of the company, point out tiny problems and issues before they are converted into serious and major blunders and gaps. By grasping issues early on, the efficiency of businesses can be increased. They help in keeping the business on track. Growths of your business make you credible and exemplary for the public. External auditors are more credible and provide a more transparent report of financial statements of the company as compared to an internal auditor because they are not biased. External auditors’ validation and approval of financial statements provide credibility of entrepreneurship in the market. They don’t work in the company directly so evaluation of financial statements by them matter. They also evaluate the accuracy of bookkeeping. For public organizations, external auditors provide an unbiased glimpse of accounting practices of organizations. For entrepreneurship, family, and small businesses, external auditors give stockholders ground for proper assessment of the financial health of organizations. Internal auditors, being an employee of the company, cannot criticize internal procedures of the company effectively. External auditors do this openly and painlessly. They are observing the company from the outside to provide transparent analysis of procedures, gaps, and flaws in the company. They pinpoint where money and time of the company can be saved and where the company needs to change their behavior to grow. They also recognize loose holes in accounting procedures and in general operations of the company. They recommend how general operations could be made more effective and efficient as well as how accounting procedures could be tightened. By implementation of external auditors’ recommendations, trust of the public can be gained. External auditors can double check with internal auditors so they can identify shortcomings in their work and train them, as well. External auditors scrutinize bookkeeping records of the company without any biased judgments and personal favors. They can detect any suspected fraudulent cases by this impartial inspection. Financial statements are unvarnished truth for external auditors and prevent business from major losses. External auditors provide recommendations to improve internal controls and automate processes to make them more streamlined. The task of the audit is presently under sensitive inspection. The exceptional universal monetary upheaval of the last two years has seen commentators questioning the value of an audit at the large public company level. 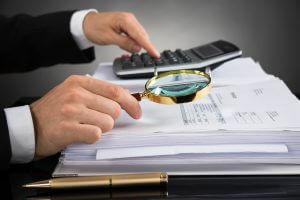 In a separate agenda, some jurisdictions have sought to minimize audits and other reporting requirements for large numbers of small businesses via the inexorable raising of the audit exemption threshold. In doing so, they have equated the submission of the company to statutory audit to ‘red tape’, portraying the audit a burden on the performance of small businesses from which those businesses need to be freed. Help in providing an honest and constructive assessment of the performance of the company, how the company is doing, and what should be done for improvement. Give insights of internal controls, governance, process, and improvement of business in a broader range. External auditors assess bookkeeping practices and validation of financial status. Abuse, fraud, and violations are detected in early stages. By improving practices, you can win public confidence.